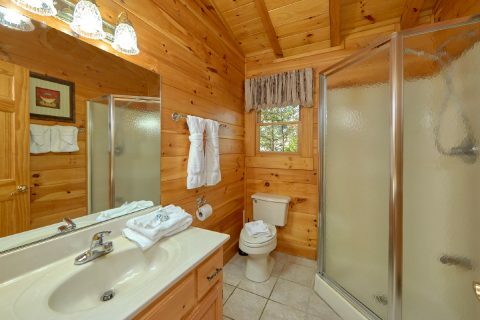 Looking for a cabin that's close to Dollywood and Downtown Gatlinburg, TN? 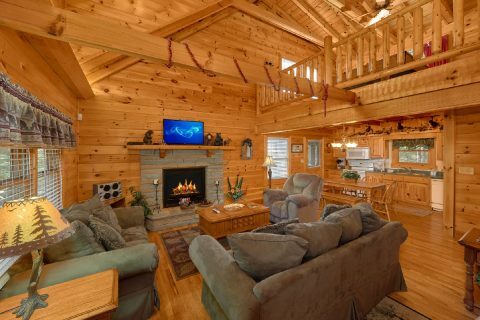 "Sassy Lady" is an affordable cabin with a prime location that's right in between these top destinations in the Smokies! 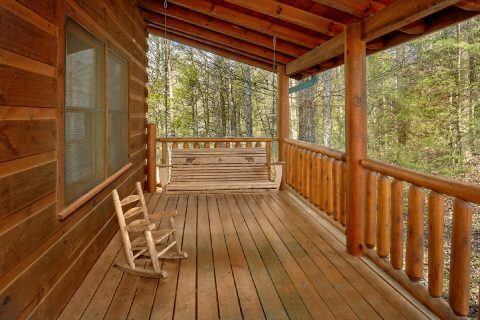 Thanks to this cabin's lovely spot just off of Upper Middle Creek Rd. 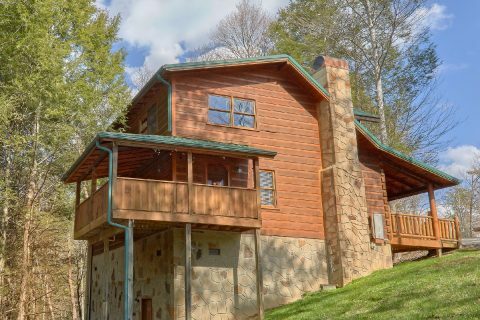 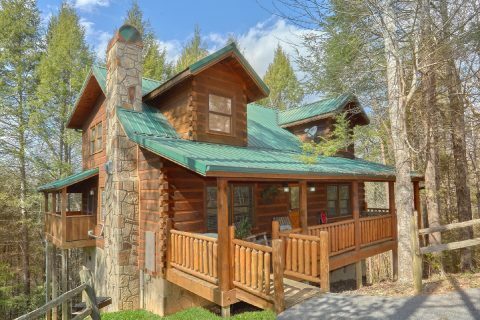 this rental is ideally situated for visiting the biggest attractions in the mountains of Tennessee. 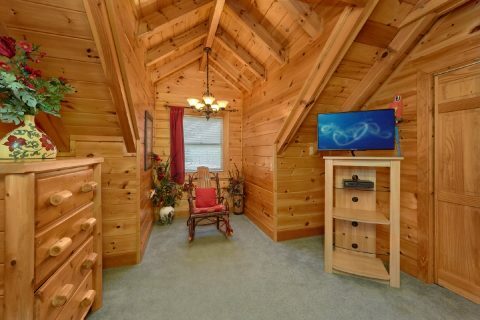 Better yet, "Sassy Lady" is located in a peaceful gated community, so you can truly relax during your stay. 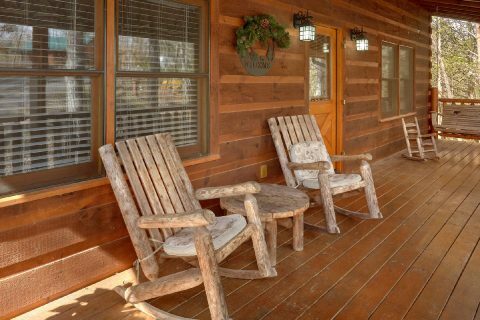 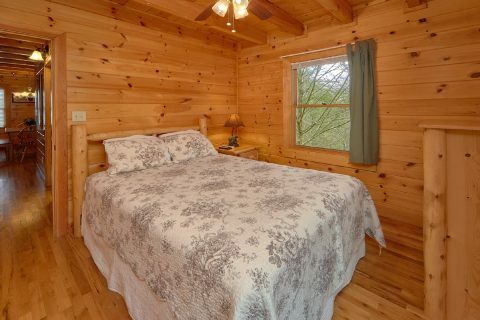 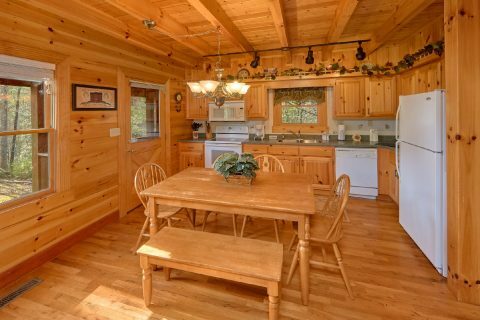 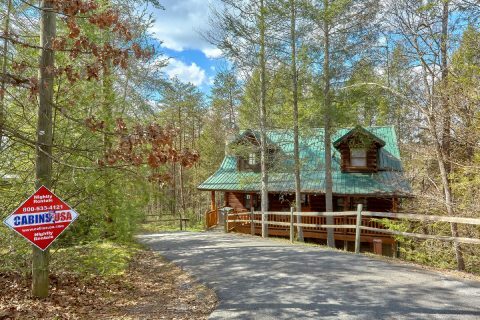 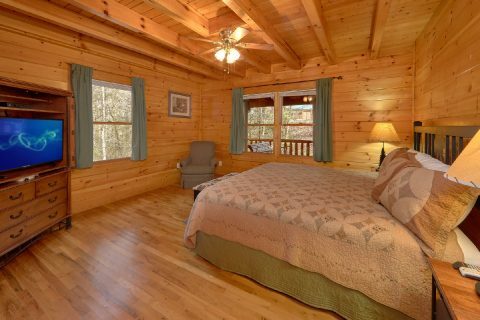 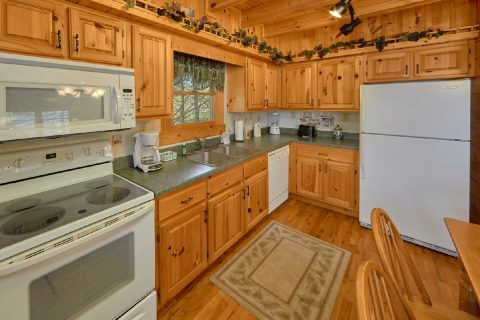 Best of all, this affordable cabin comes with everything you need to get the most out of your Smoky Mountain vacation. 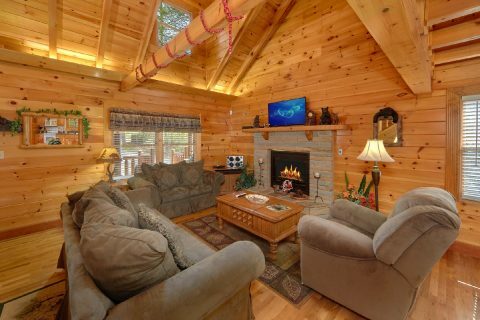 In the main living room area, you can enjoy unwinding by the gas fireplace while you enjoy a laid-back movie night with your rental's flat-screen television. 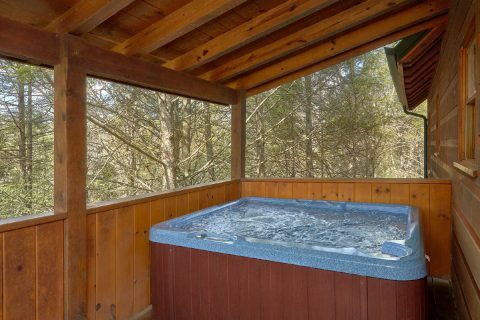 On your cabin's deck, you can enjoy the sights and sounds of your cabin's wooded location while you take a relaxing soak in the hot tub. 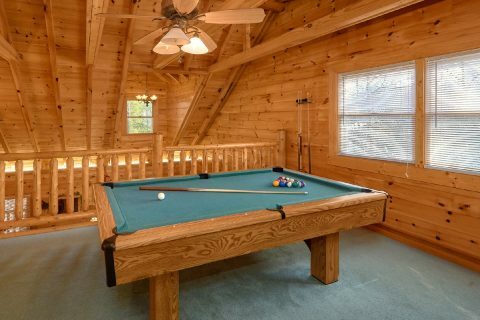 For some in-cabin entertainment, you can always work on your bank-shot with your cabin's pool table in the upstairs loft. 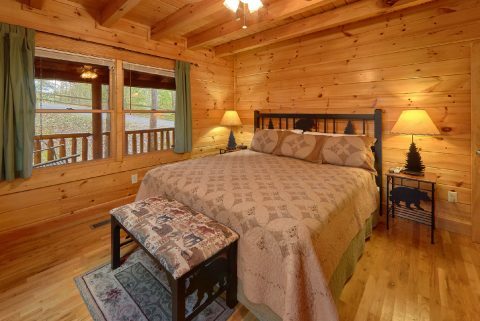 With 2 bedrooms with king beds, 1 bedroom with a queen bed, and a queen-size futon in the loft, this comfortable cabin can easily accommodate up to 8 guests in comfort. 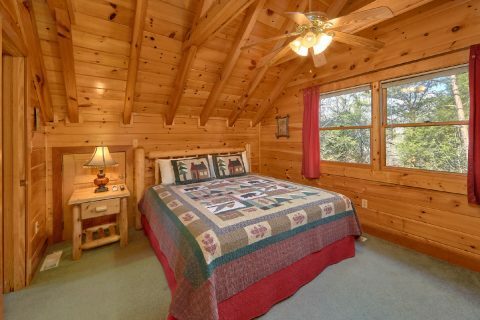 Each of these bedrooms comes complete with a flat-screen television. 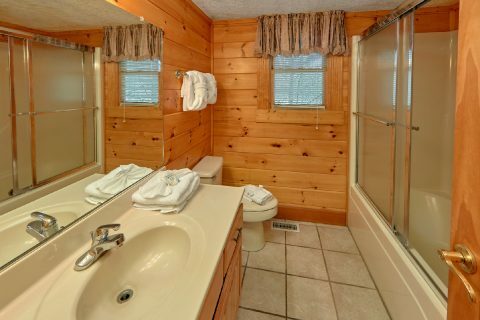 Lastly, "Sassy Lady" comes complete with practical features like a full kitchen, a charcoal grill, and a washer & dryer to use during your stay. 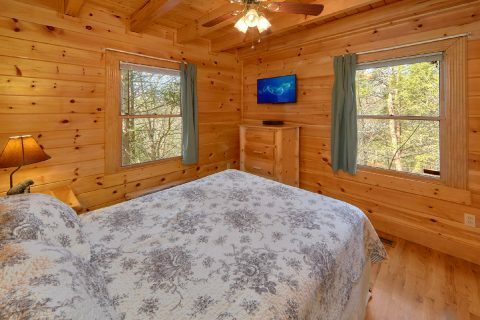 Book this affordable cabin that's less than 8 miles from Downtown Gatlinburg today with Cabins USA Gatlinburg to save 15% on your nightly rate in the Great Smoky Mountains of Tennessee!